Hyperthyroidism Symptoms: Hyperthyroidism is when the thyroid gland is overactive and produces too much thyroid hormone – more than the body needs. One of the thyroid hormones’ functions is to control the pace of our body processes, which is widely known as metabolism. This disease is more likely to happen in women than in men. Reports show that women are likely to have hyperthyroidism 10 times more than men. Hyperthyroidism is the medical term used to define the signs and symptoms of the over production of thyroid hormones. One is considered healthy if their thyroid glands produce just enough thyroid hormones that the body needs. When the thyroid gland produces too much thyroid hormones, metabolism increases. A person can experience feelings of warmness or hotness and can lose weight even when eating normally. Patients who suffer from hyperthyroidism normally experiences fatigue but have trouble sleeping. Some people experience trembling of the hands and palpitations. More often, some become irritable and really upset. Hyperthyroidism Symptoms often vary. One may not notice the symptoms unless they become more severe. This basically means that one can go on living not feeling any of the symptoms until they get really sick. Some get sick for weeks and months and still don’t realize that they are experiencing the side effects of hyperthyroidism. Hyperthyroidism is treatable. But treatment for each patient differs. It is more of a case to case basis. An individual may endure and be cured with a certain treatment but that treatment may not be suitable for another patient who is suffering from hyperthyroidism. 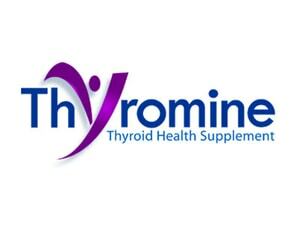 The ultimate goal in treating hyperthyroidism is to stop the thyroid gland from producing too much thyroid hormones. Doctors prescribe anti-thyroid medications to block the production of thyroid hormones. One of the rare side effects of treating someone with hyperthyroidism is the increase of one’s white blood cells. It is very unlikely for one to have a fever when being treated with hyperthyroidism. IF this happens, one should call their doctor immediately. Other prescriptions include radio-active iodine. The disadvantage of being treated with radio-active iodine is that this kills a lot of cells, causing thyroid hormone levels to become low, and eventually leads to hypothyroidism. Hypothyroidism means one’s thyroid gland fails to produce and secrete enough thyroid hormones for the body. The good thing about having hyperthyroidism is that it can still be cured and prevented through a proper diet. One needs to eat foods that will not trigger the activity in the thyroid gland. The best diet would be one that includes vegetables, meat, whole grains and fruits. When we cook our food, some nutrients are being removed – that’s why it is advisable to eat raw fruits and vegetables. The fresh and raw fruits and vegetables still have their nutrients intact. Do away with the cooked and processed ones. Visit your doctor so you may also be prescribed with any multi-vitamins you may need. One should avoid caffeinated drinks. This is very dangerous for the thyroid gland. 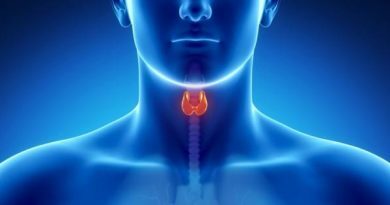 Avoiding this will help lessen the activity of the thyroid gland. It is highly recommended by doctors and endocrinologists to avoid foods that have high iodine content. It is very important to follow the hyperthyroidism diet to cure your thyroid problem. This is not a simple health problem. It may lead to a more severe and complicated disease. Following the hyperthyroidism diet is the first step to curing one’s thyroid problem. When one is pregnant, they think that symptoms such as feeling warm, nervousness, insomnia, fatigue and weight loss are normal. To be safe, it is best to see a doctor for more information and for one to be treated in cases that these symptoms are not all because of the pregnancy. It is very important that hyperthyroidism be controlled in pregnant women. This entails a higher risk of a miscarriage or birth defects without therapy. As a precaution, if one is planning to have a baby, it is best to have one’s self checked first before getting pregnant. Treating hyperthyroidism while one is pregnant is hard. To ensure one’s and baby’s safety, see a doctor. This prevents any future complications with the pregnancy.